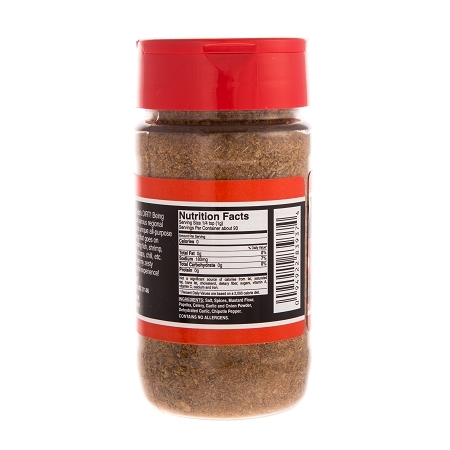 The CHESAPEAKE DIRT, formally named Crabby DIR is a unique gourmet Chesapeake Bay style seasoning made with 20 spices, which is 100% all natural. 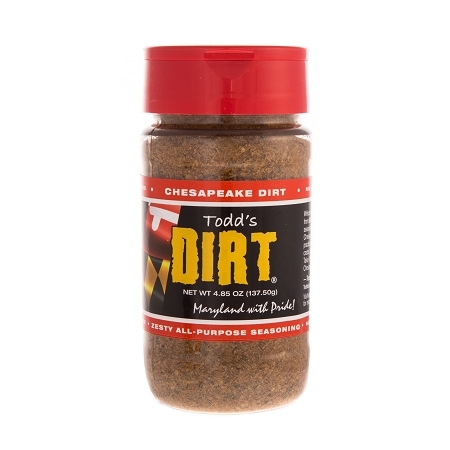 No MSG, Gluten or any other junk in the CHESAPEAKE DIRT . 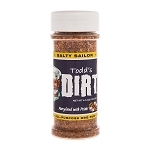 Being from Maryland and loving seafood, I have created my own special variation on the Chesapeake Bay Seasonings from the past and enhanced the flavor with the THE ORIGINAL Todd's DIRT. 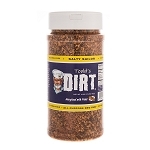 Put the CHESAPEAKE DIRT on fish, crabs, shrimp, scallops or in your favorite crab cake recipe, sit back, and enjoy. Also put on other foods to spice things up like, Chicken, chili, BBQ, steaks, popcorn, french fries or in a Bloody DIRTY Mary. Your taste buds are going to go crazy with happiness. The Dirtman's favorite things to put CHESAPEAKE DIRT on is scallops, shrimp, chicken breasts, corn on the cob, Bloody DIRTY Mary's and of course anything with crabs.